A few days back, the US Citizenship and Immigration Services (USCIS) cleared the air on speculations that it would end the H-1B visa scheme. After the agency announced that it was not considering a proposal to end H-1B visa extension, now, a new legislation has been introduced in the House of Representatives that may benefit Indians if it becomes law. According to Numbers USA, an organization working for immigration reduction, four House Republicans have introduced the Securing America’s Future Act aimed at reducing chain migration and increasing green card issuance. The legislation backed by the Trump administration seeks to eliminate the visa lottery green card program and green card programs for relatives (other than spouses and minor children) for ending chain migration. 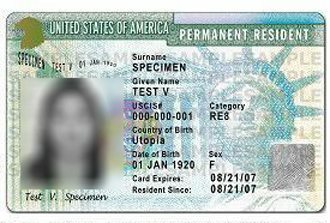 While the legislation proposes to reduce immigration levels (now averaging over 1,060,000 a year) by about 260,000 a year – a decrease of about 25 percent – it plans to increase the number of green cards available in the three skilled worker green card categories from about 120,000 a year to about 175,000 – an increase of 45 percent. The move will benefit Indian professionals who have to wait for long years to get their green card approved after coming to the country on H-1B visa. Usually, many Indian techies who work on H-1B visa have to wait decades to get green card approval. It is estimated that about 500,000 Indians are in the queue waiting to receive their green cards. If the legislation becomes law, it will benefit the Indian techies since they are in high demand in sectors that require skilled labor. But, the Trump administration’s move to restrict chain migration would adversely affect thousands of Indian Americans who wish to bring their distant relatives to the US. While the Federal Government is hell-bent on curbing illegal immigration and merit-based green card allotment, President Trump has expressed his willingness to find a proper legislative solution to allow those protected by the Deferred Action for Childhood Arrivals (DACA) program to stay in the country. But, he has reiterated that the program is feasible only if it comes with the long-promised border wall and changes to the immigration system. The Securing America’s Future Act addresses the issue of border wall construction and permits the use of additional technology, roads, and other tactical infrastructure to secure the border.